Real Housewives of Beverly Hills cast member Teddi Mellencamp Arroyave, is done getting walked all over! She has found herself at the center of the puppygate drama. And she is now pitted against Lisa Vanderpump in a no holds barred fight about who was right. The Real Housewives franchise may have become the realm where marriages go to die, or maybe it’s a shiny object unhappy spouses have dangled in front of their significant others to distract them from the reality of their situation. The first victim of this method may very well have been Camille Grammer, OG cast member from Real Housewives of Beverly Hills. The Real Housewives of Beverly Hills cast member Kyle Richards is optimistic that her long-time friendship with co-star Lisa Vanderpump can withstand all the crazy drama taking place on Season 9 of the show. Their friendship has been a staple on the series and is one of my favorite relationship on Beverly Hills. There have been reports that Lisa has stopped speaking with all the other Housewives, including Dorit Kemsley, Erika Jayne, Lisa Rinna, and Teddi Mellencamp. The one exception? Newbie Housewife Denise Richards. It seems that Lisa and Denise have maintained a relationship and continued to film together. There has been a lot of speculation about Season 9 of The Real Housewives of Beverly Hills. They have kept a lot of the details under wraps, but it sure sounds dramatic and juicy. There have been some rampant rumors that OG cast member Lisa Vanderpump refused to film with most of the cast and she’s done with the show after next season. It looks like the rumors were true for once! It’s official: Denise Richards has joined the cast of The Real Housewives of Beverly Hills. Besides being a stunner, who knew Gigi Hadid could burn in the kitchen but in a good way! 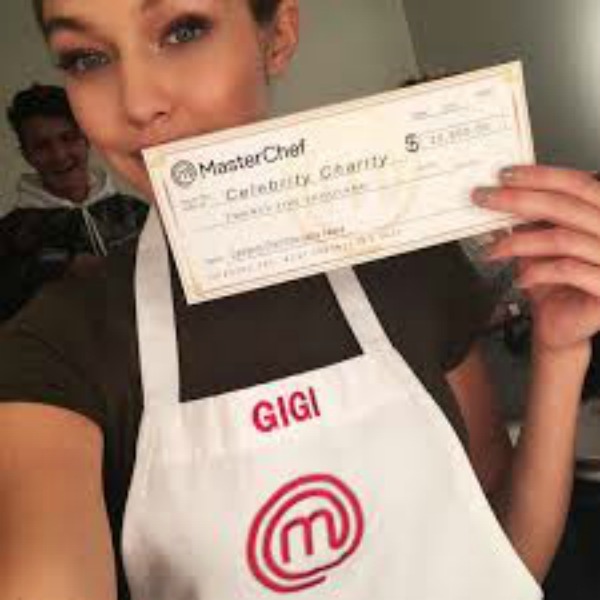 Gigi, who is the daughter of The Real Housewives of Beverly Hills‘ Yolanda Foster, competed on the Fox show, MasterChef Celebrity Showdown on Monday night and won a whopping $25,000. What made the win even more delicious for the supermodel was that the monies she won will be donated to a cause that is very personal to her, Lyme disease. The ailment is one that has not only stricken her mom Yolanda but younger siblings, Anwar and Bella as well. Yolanda Foster, who stars on The Real Housewives of Beverly Hills, is seemingly at her wit’s end with the swirling rumors about her mysterious Lyme disease diagnosis. On Tuesday night’s episode of RHOBH, Yolanda was alerted to the fact that co-star, Lisa Rinna spearhead a conversation with Kyle Richards and Lisa Vanderpump (Eileen Davidson comes in on the tail end) about how her longtime Lyme disease battle could be all made up in her head. Foster took to her Bravo blog to shoot off some heartfelt thoughts and case facts for the confused coffee klatch quartet. It was pretty apparent, Rinna wanted to make Yolanda’s illness the topic of discussion at the gathering. Yolanda’s Instagram shots were brought up. Rinna seemed to scratch her head as she pondered, why Yolanda posted a series of ailing Instagram shots of herself and then on the heels of these, added fun-filled vacay pics of herself and hubby, David, during an adventurous Canadian trip. Rinna asked the ladies, “How is she on a boat? Why the pictures? and What’s her message?” Rinna could not grasp, why Yolanda has presented such a sick front all along and could then, turn around, and have a rip-roaring time, as if she had been suddenly cured.